Supply Network Management has the purpose of optimising the processes in the areas procurement, production and distribution. It creates both internal and cross-company business processes. 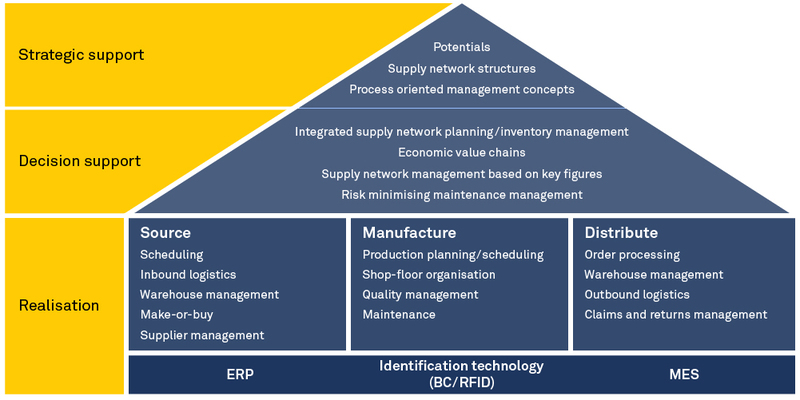 Supply Network Management goes beyond the observation of sheer supply chains: the organisation and successful steering of Supply Networks create a competitive advantage through the possibility for a faster reaction on changes at a concurrent optimisation of costs. The tendency towards the concentration on core competencies requires a tighter integration of suppliers in the procurement and production. The concurrent integrated planning of sales allows the right product to be available at the right location, at the right time and with optimal costs. 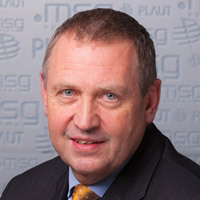 Experience and competences of Plaut regarding cross-company projects ensure that all partners are integrated optimally, and that the technical realisation delivers a long-term added value, with the aid of future-proof IT systems. The procurement processes have the purpose of ensuring the adequate and economic deployment of the required goods. At that, planning of demand and the optimal composition of delivery cycles are of major importance. The concurrent integrated observation of procurement and sales processes is an essential factor for an optimal organisation. The management of stocks must fulfil at this point highly different purposes. Huge amounts of stocks allow favourable wholesale prices, but put on the other hand a strain on the company through capital commitment and necessary storage space. Low stocks reduce storage costs but there is also the risk of an insufficient delivery capability. Plaut has long-term, practical experience regarding the answer to this task formulation. Beside the solutions of SAP, Plaut applies products of the software producer Inform for the realisation of these requirements. With add*ONE from Inform a software for an efficient stock management is available. Production is the centrepiece of the operational added value. The depiction of the commodity flows in terms of amount and value delivers a daily overview for an optimal organisation in production. Plaut offers practice-oriented models for the creation of make-to-stock production, make-to-order production and project based manufacturing. The delivery of goods and services to customers at the right time, at the right location and with optimal costs builds the foundation for long-term market success. Supply Network Management in this respect is an essential factor to ensure this with high quality, and by that to satisfy customer requirements. In some industries the handling of returns and the management of complaints is also an important component for the achievement of customer satisfaction.